At the 11:00 Sunday morning service during June and July there will be special musical offerings on the new Bicentennial Organ built for Grace Church by Taylor and Boody Organbuilders of Staunton, Virginia. 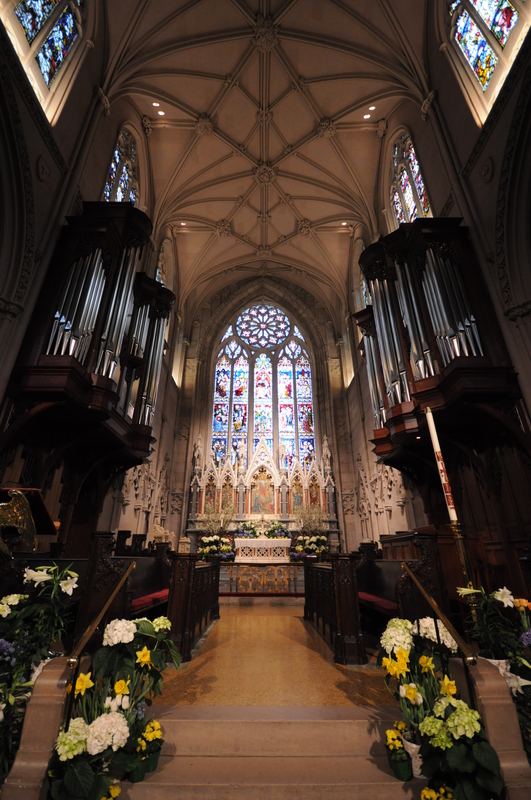 Installation of the organ began in August of 2012 with organ being Innugurated on Easter Day 2013 and with the Spring Concert of the Grace Church Choirs on April 26th. Installation continues and will be completed over the summer. The organ will have a special Exhibition by our musical colleagues of New York City on Saturday 21 September starting at 3:00. Keep an eye out for more details as that special afternoon comes together. The organ voluntaries in June and July will feature two composers who share a very special historical connection, Johann Sebastian Bach and Felix Mendelssohn-Bartholdy. We owe the revival of Bach’s music to Mendelssohn who brought Bach back into the public ear with his passion and special concerts of the Master’s music. Over six Sundays the organ music prior to the service starting around 10:45 will be the six Organ Sonatas of Mendelssohn. These beautiful tone poems were commissioned by a notable English publisher and feature many well loved motives found in other compositions by Mendelssohn. The closing voluntaries of the service will feature six great Preludes and Fugues by Johann Sebastian Bach followed by a repeat of the Mendelssohn Sonata which began the service. If once is good, twice is better! See if you can hear what might be different in the two offerings.